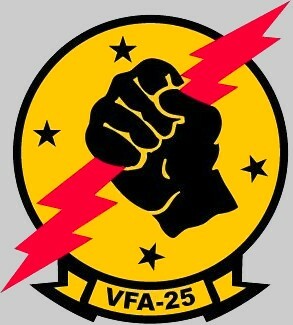 Strike Fighter Squadron 25, the "Fist of the Fleet", is a veteran command of Naval Aviation. Originally commissioned Torpedo Squadron 17 in 1943, the squadron operated during World War II with TBM and SB2C attack bombers flying from the deck of USS HORNET. Following the war the squadron was re-designated as VA-65. In December 1947, the squadron transitioned to the aircraft it would fly for the next 21 years, the propeller driven AD-1 “Sky Raider,” known to its pilots as the “Spad.” VA-65 became a plank owner aboard USS CORAL SEA (CVA-43) when it sailed with the carrier on its maiden voyage in early 1948. In succeeding years Attack Squadron 65 also deployed aboard USS MIDWAY (CVA-41) and won its first Battle Efficiency "E" denoting it as the best single engine attack squadron on the east coast in 1948. At the outbreak of the Korean hostilities, the squadron was transferred to NAS Moffett Field. In the fall of 1950, they deployed to Korean waters with Carrier Air Group 2 aboard USS BOXER. An impressive combat record was compiled aboard this “Essex” class carrier, with 1,645 combat missions being logged. 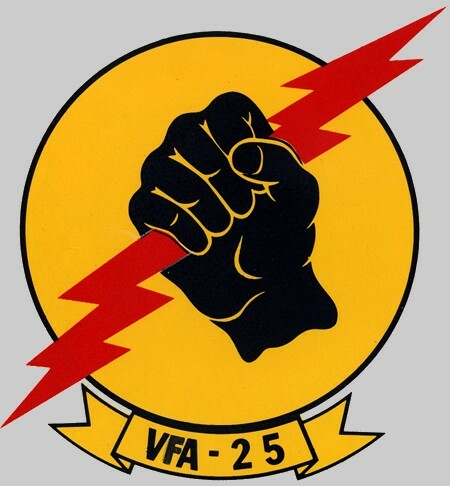 In July of 1959 the squadron was re-designated as VA-25. 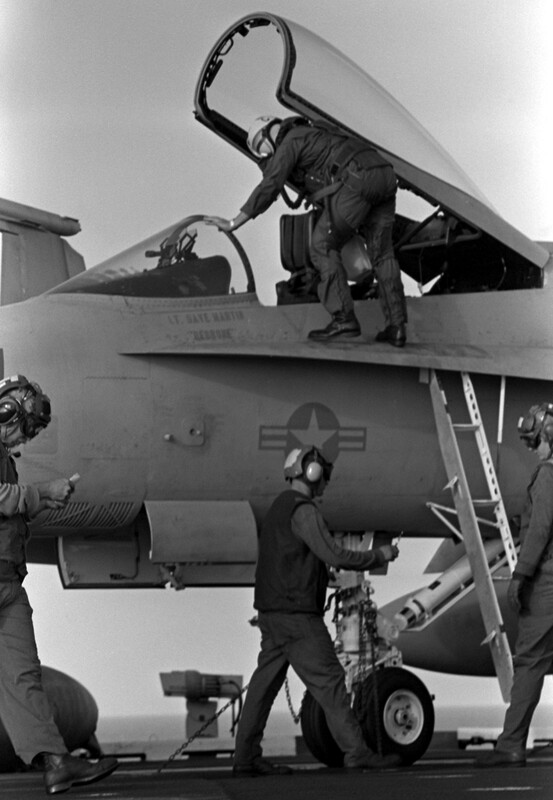 In 1962 the squadron moved to newly completed NAS Lemoore, California. From 1965 through 1968, VA-25 made three deployments to Southeast Asia from the deck of USS CORAL SEA. During this period FIST pilots flew over 3,000 combat missions, dropping more than 10 millions pounds of ordnance on enemy targets. On 20 June 1965, a division of FIST “Spads” were attacked by a section of North Vietnamese MIG-17’s, with VA-25 successfully scoring a guns kill against one of the jet-powered fighters. 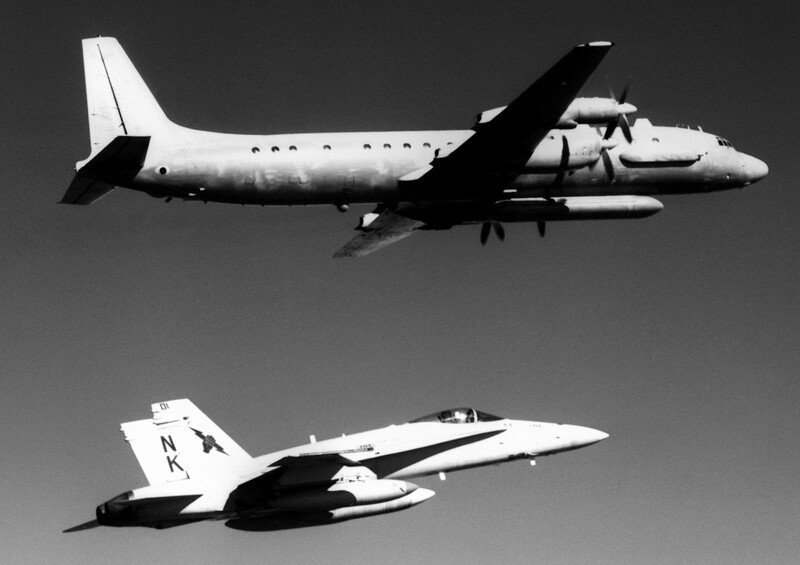 When VA-25 turned in its A-1 “Spads” in 1968, it was the last propeller driven tactical squadron in the Navy. 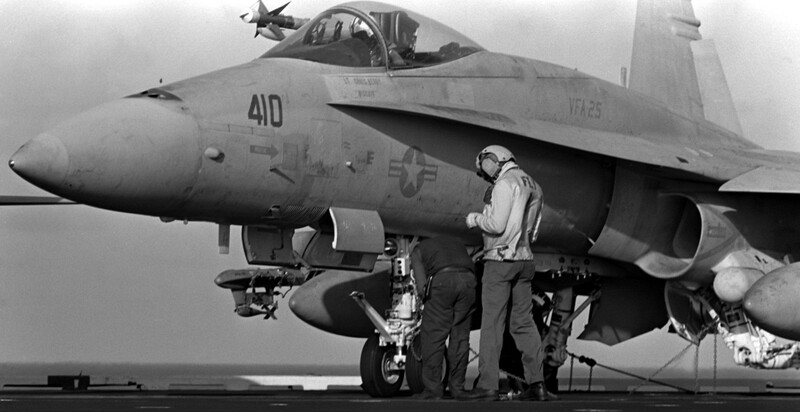 The next aircraft for VA-25 was the A-7B Corsair II. After only four months of training in the new attack jet, VA-25 departed for its fourth combat cruise to Southeast Asia. In the following two years, the squadron made two more combat cruises aboard USS RANGER, expending over 15 million pounds of ordnance on targets in Laos and Vietnam. 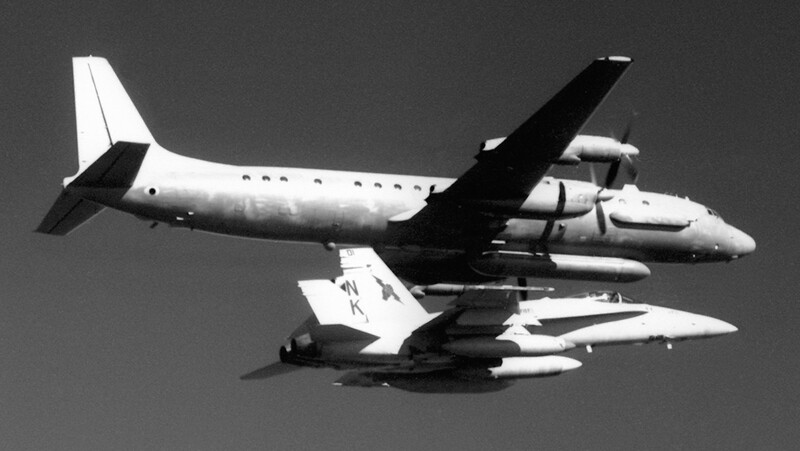 VA-25’s WESTPAC 74 cruise marked its first non-combat deployment in over 9 years. 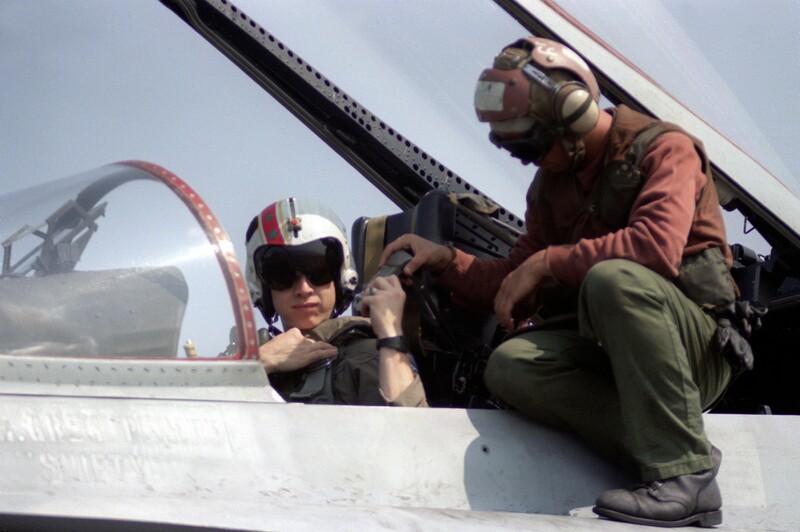 In May 1983, pilots from VA-25 began training in the new F/A-18A Hornet. 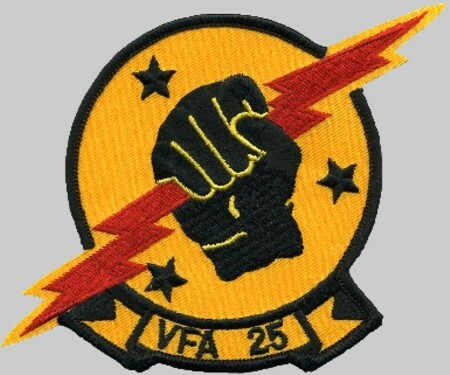 The squadron was re-designated as Strike Fighter Squadron 25 (VFA-25) on July 1, 1983. 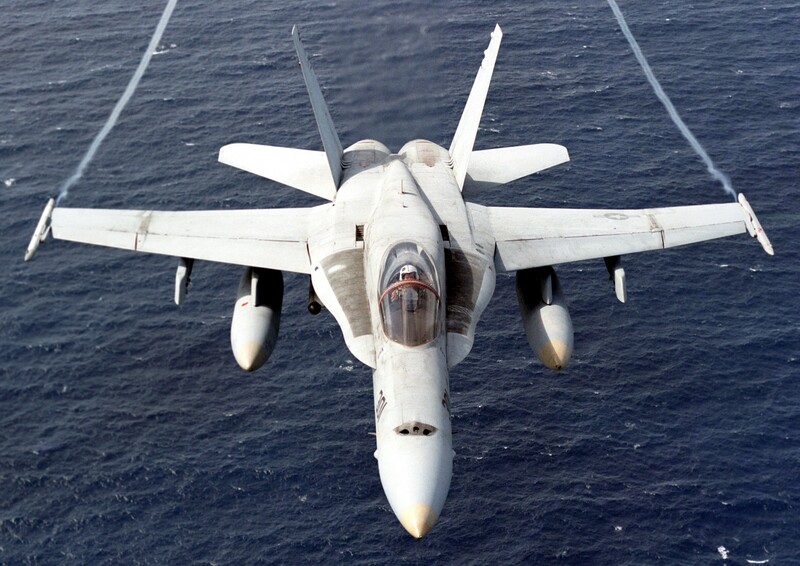 On 19 February 1985, VFA-25 departed on the historic "first deployment" of the FA-18 Hornet aboard America 's Flagship, the USS CONSTELLATION. 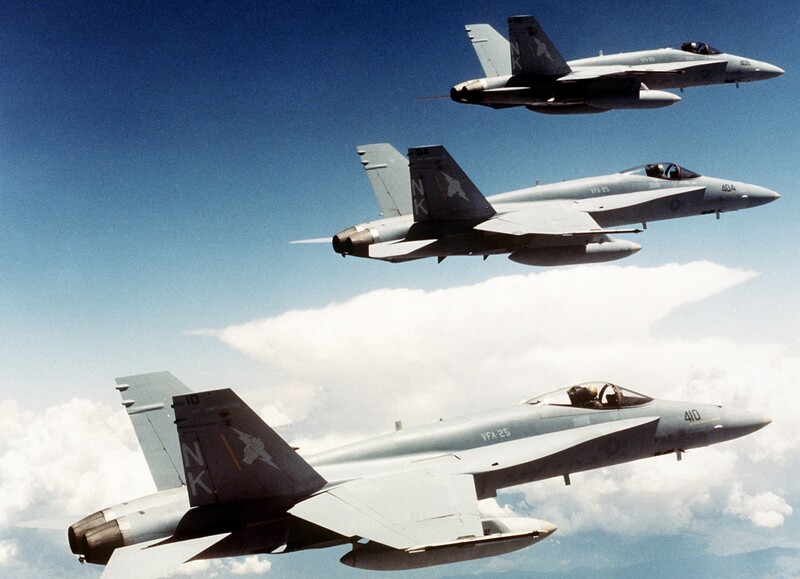 During this WESTPAC deployment, VFA-25 won both the CVW-14 Bombing Derby and the CVW-14 Tailhook Award before returning to NAS Lemoore in August 1985. 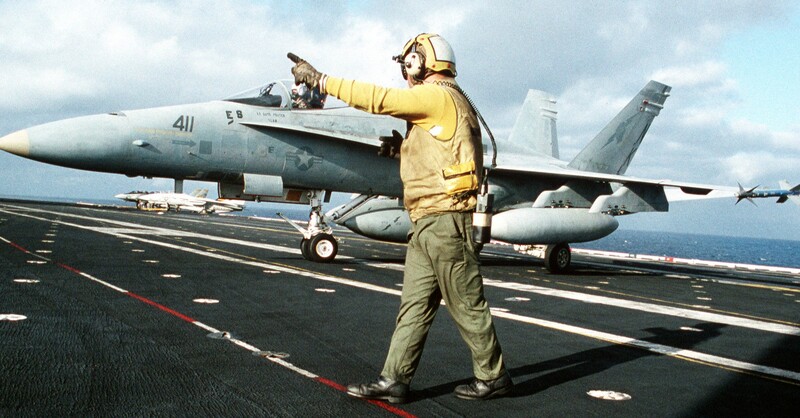 The “Fist of the Fleet” embarked on the USS CARL VINSON in 1996. 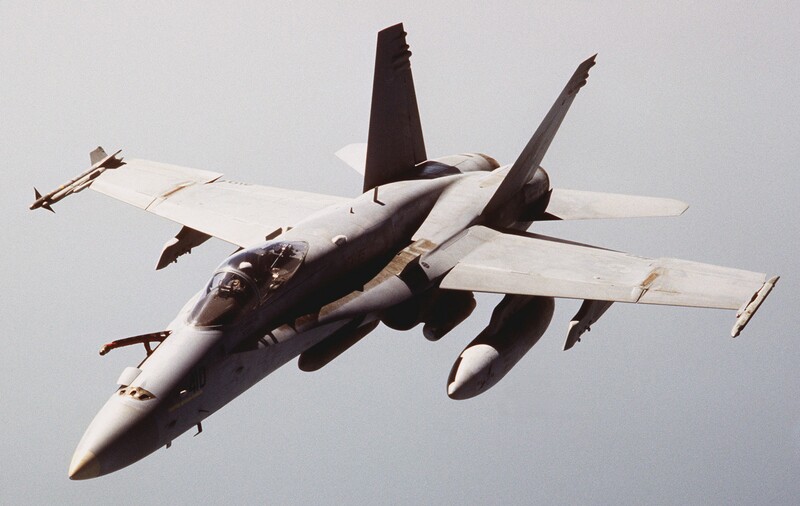 The squadron operated in the Arabian Gulf for three months and participated in Operation SOUTHERN WATCH, Operation DESERT STRIKE, and exercise RUGGED NAUTILUS. 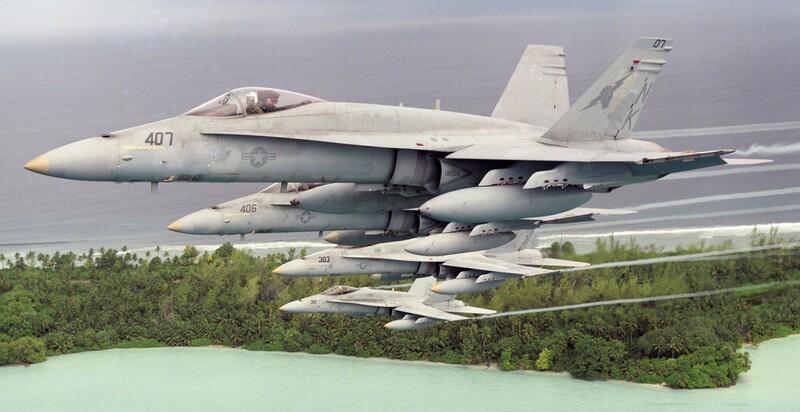 The 1998 Western Pacific deployment found the squadron onboard USS ABRAHAM LINCOLN for the first time. 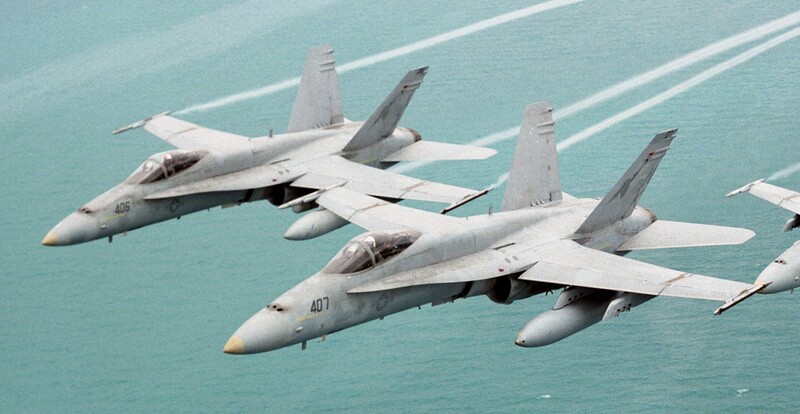 In 2000, the squadron returned to the Arabian Gulf on board the USS ABRAHAM LINCOLN enforcing the no-fly zones in Iraq and maintaining a high-tempo pace in Operation SOUTHERN WATCH. 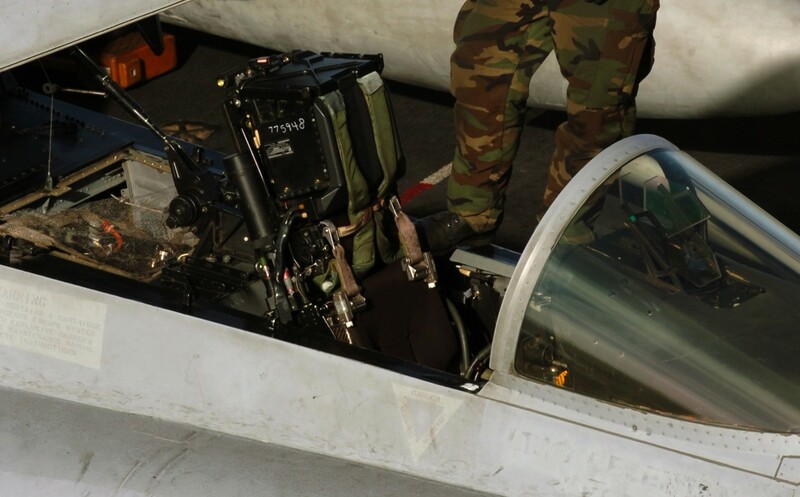 In support of the UN Security Resolutions, the “Fist of the Fleet” pilots dropped their bombs on selected tactical targets in southern Iraq and continued to patrol the skies in the Arabian Gulf. 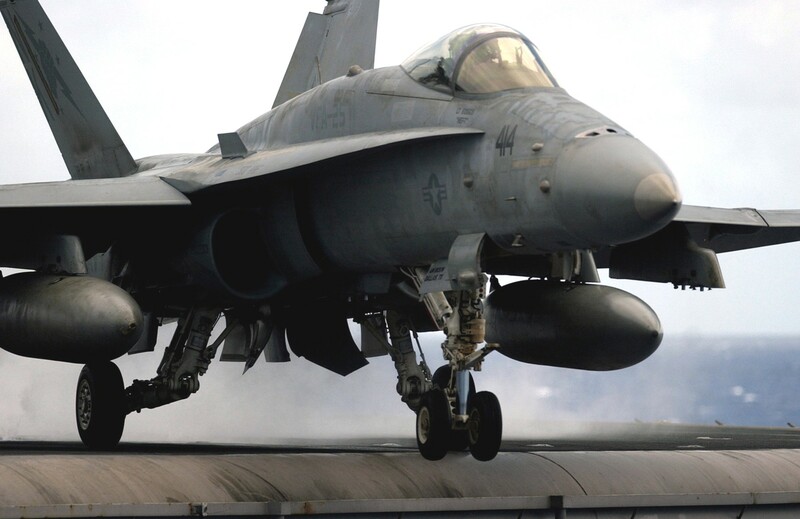 Any strain from the long deployment melted away on March 19, 2003, when VFA-25 began combat sorties in earnest and Operation SOUTHERN WATCH abruptly turned into Operation IRAQI FREEDOM. 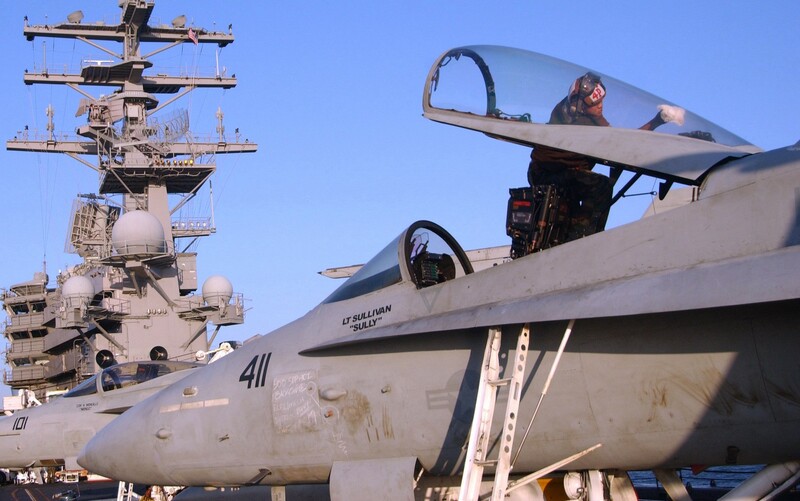 The Fist of the Fleet lead the way to Baghdad from the very beginning including the daring first-night air strikes on the Iraqi capitol in what has become known as the “Shock and Awe” campaign. 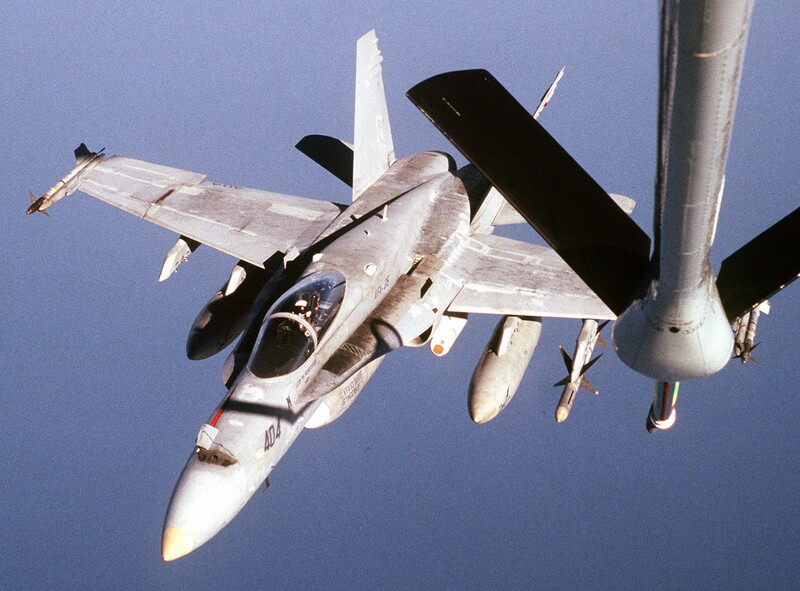 From pre-planned strikes to “on-call” Urban Close Air Support, VFA-25 was involved in critical, time-sensitive attacks that proved to be crucial in the eventual downfall of the rogue Iraqi regime. 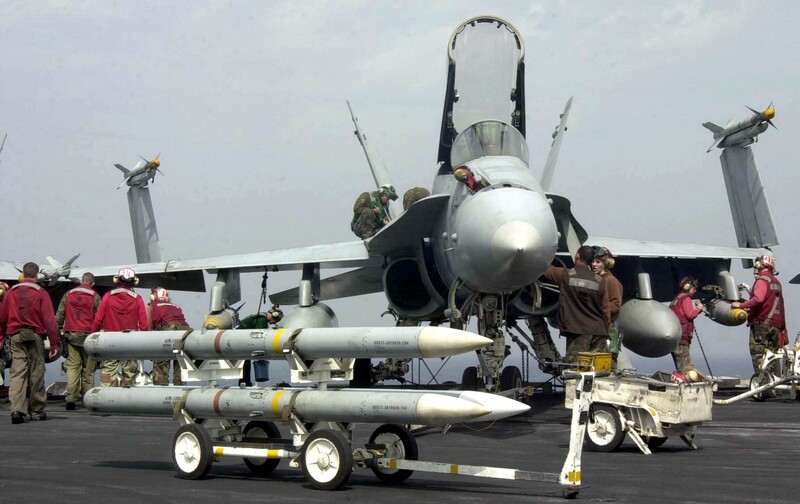 VFA-25 delivered more than 300,000 lbs of ordnance during the operation. 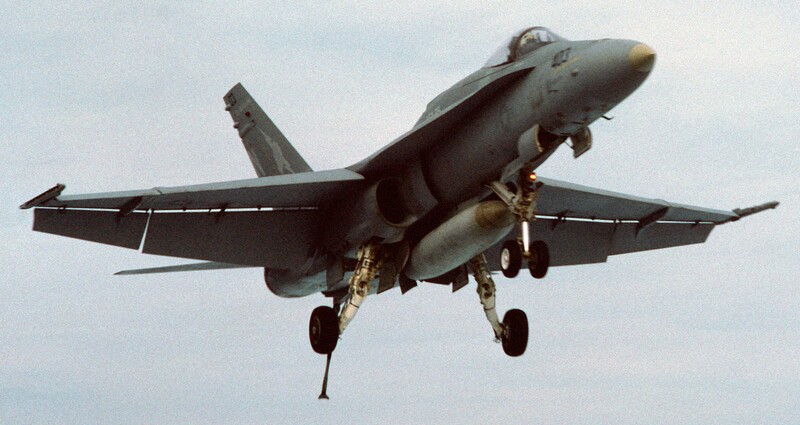 Sortie completion rates were better than 98% for the Fist’s war effort, despite constant high-tempo flight deck operations, ordnance loading, and critical, time-crunched repairs to the aircraft. 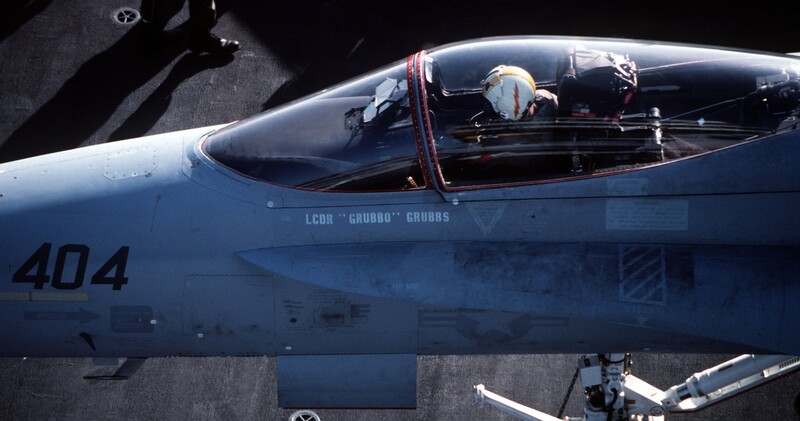 With its duties in the Persian Gulf complete, VFA-25 returned to the United States in May 2003. The entire squadron was proud of its Four-Star effort. After completing work up training, VFA-25 deployed aboard the USS JOHN C. STENNIS (CVN 74) in May 2004 to the Western Pacific. WESTPAC 2004 included participation in several exercises, including NORTHERN EDGE, RIMPAC 2004 and JASEX with the USS KITTY HAWK (CV 63). 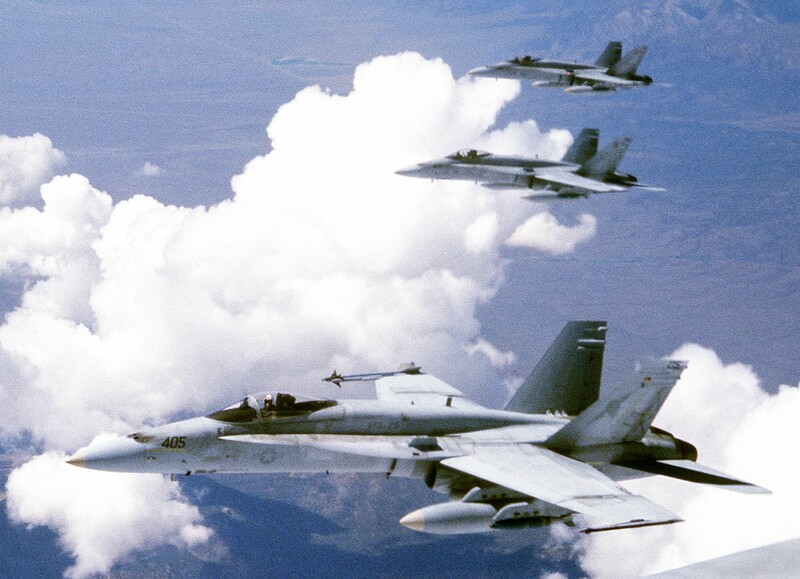 The squadron returned to NAS Lemoore on November 1, 2004. 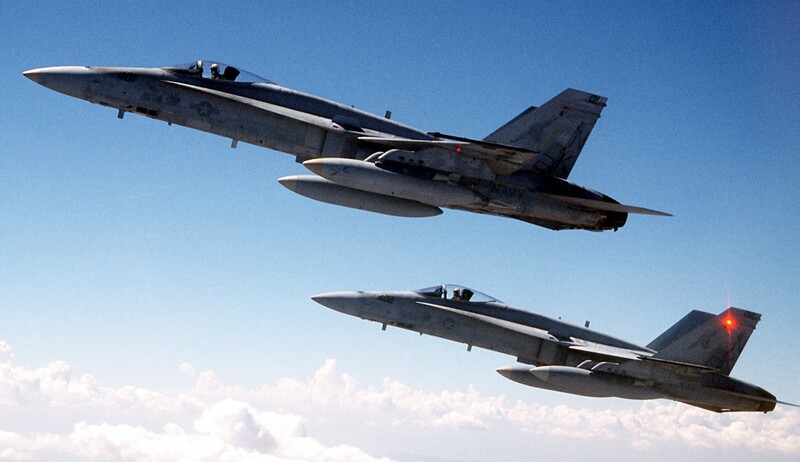 In March 2005, VFA-25 began the work-up cycle for its next deployment with a detachment to NAS Fallon for SFARP. 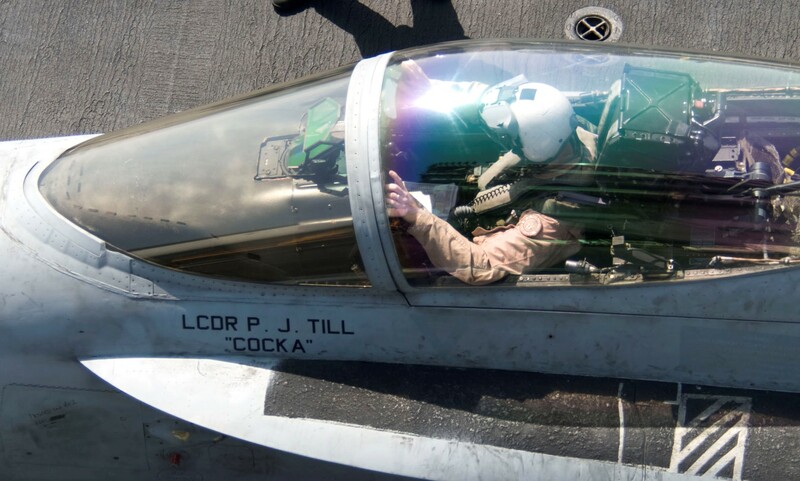 During the summer and fall of 2005, the Fists continued their work-ups with an Air Wing Detachment as well as several detachments to the USS RONALD REAGAN (CVN 76), the newly assigned carrier for CVW-14. 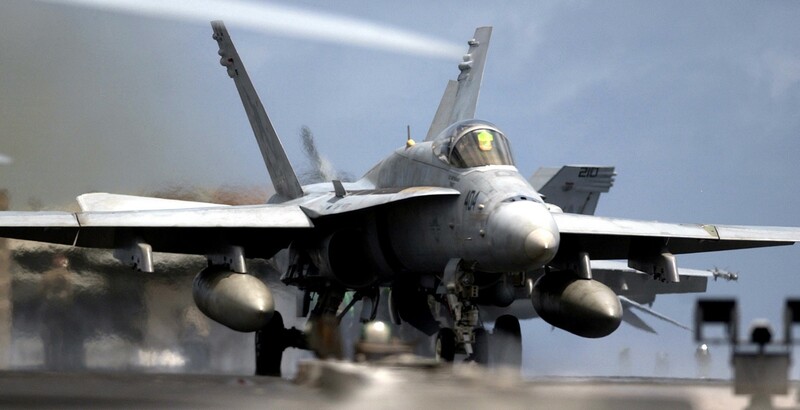 In 2006, the squadron participated in a 6 month WESTPAC deployment; their first aboard the USS RONALD REAGAN (CVN-76). 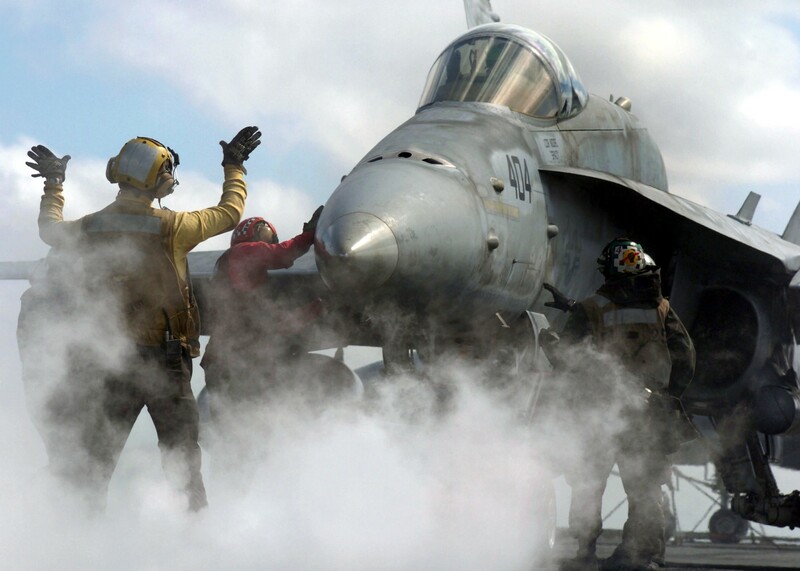 VFA-25 performed nearly four months of combat operations in the Persian Gulf from February to May 2006 where they successfully completed over 600 combat sorties and 2,500 hours in support of Operation IRAQI FREEDOM. Leaving the Gulf signified the end of tactical combat operations but not the end of the deployment. The REAGAN Strike Group steamed east towards Guam to participate in Operation VALIANT SHIELD, another opportunity for the squadron to operate and excel on a tactical level. 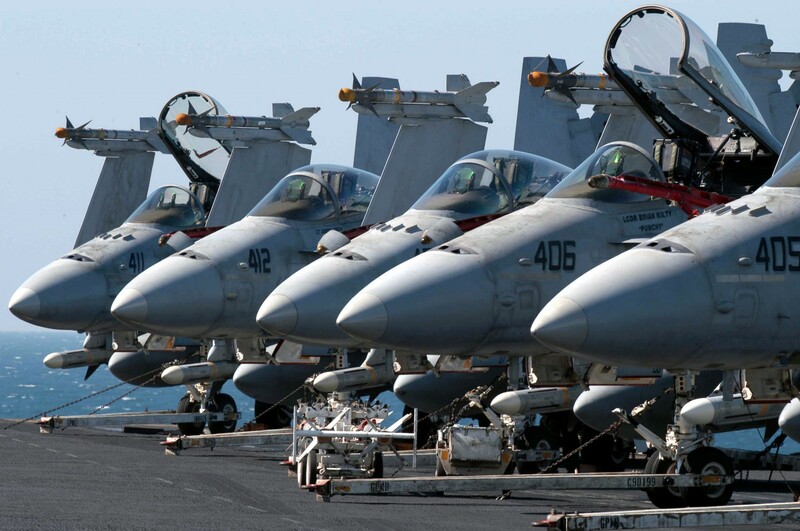 The multi-carrier operation began in mid-June and lasted several days as the REAGAN Strike Group performed Joint training exercises with the USS KITTY HAWK and the USS ABRAHAM LINCOLN Strike Groups. The deployment ended with the REAGAN making a brief stop in Hawaii to pick up family and friends for the first “Tiger Cruise” on USS RONALD REAGAN’s maiden deployment. More than 1200 Tigers participated. The squadron spent the remainder of 2006 in a sustainment status, as they prepared for their follow-on 3-month surge deployment starting in January 2007. 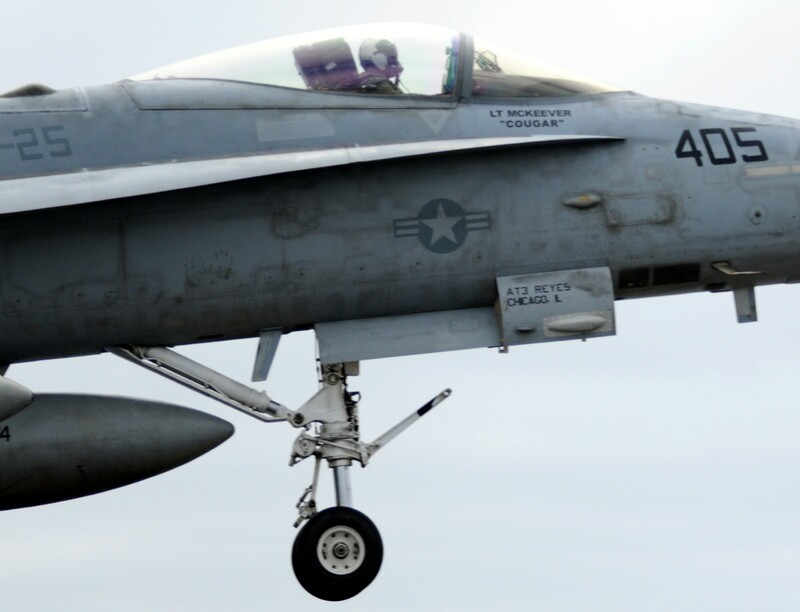 VFA-25 took part in two joint operations that were highlights of the deployment. In early March, CVW-14 participated in joint training with Air Force F-15’s and F-22’s operating from Kadena AB , Japan . Later that month, CSG-7 participated in FOAL EAGLE; a joint, multi-national exercise hosted by South Korea , and included elements from every branch of the armed forces. 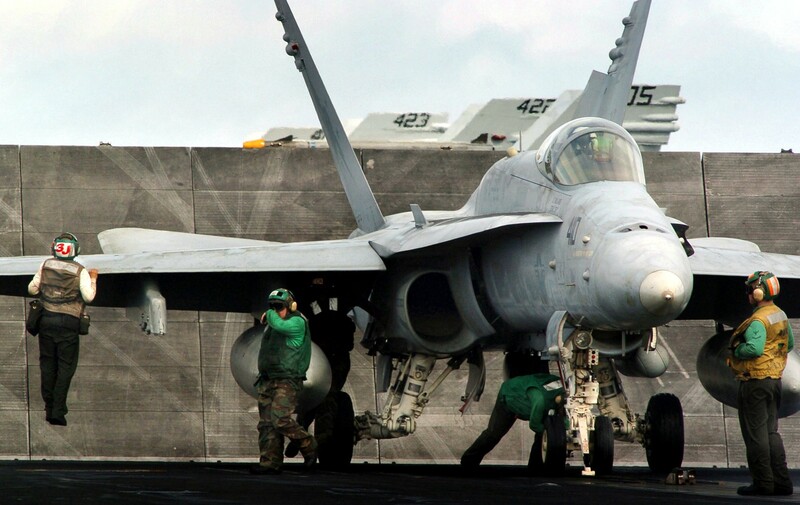 Starting with SFARP in September 2007, VFA-25 began workups for yet another deployment cycle. 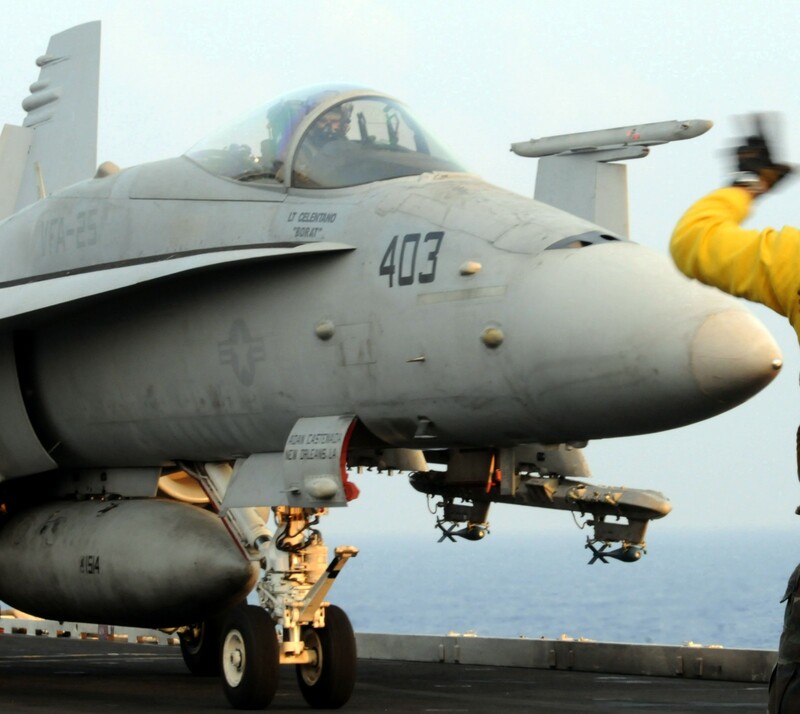 Beginning in 2008, VFA-25 began a series of what would become two deployments in support of Operation ENDURING FREEDOM. During the first deployment, the squadron spent two months on station supporting combat operations in Afghanistan . 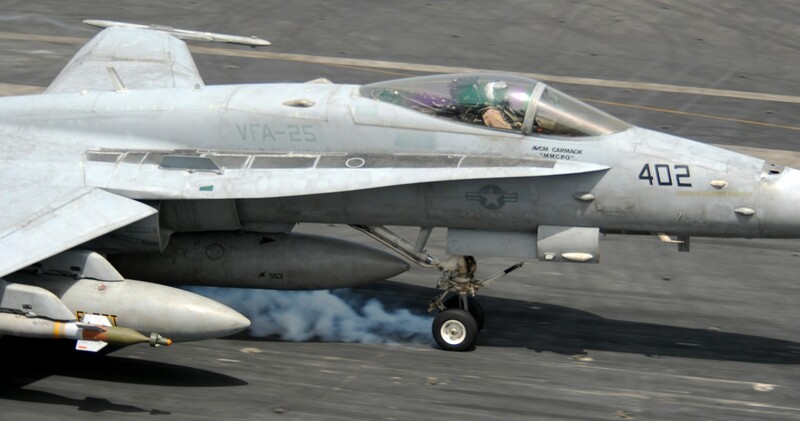 After their return home in November 2008, VFA-25 once again remained in a sustainment status and spent the first 5 months of 2009 preparing for their upcoming surge deployment. The Fist of the Fleet left for their surge deployment on 28 May, 2009. Shortly after their departure, the scheduled 4 month surge was extended, making for a total of two and a half months in support for Operation ENDURING FREEDOM. The extension resulted in the renaming of the surge as WESTPAC 2009. 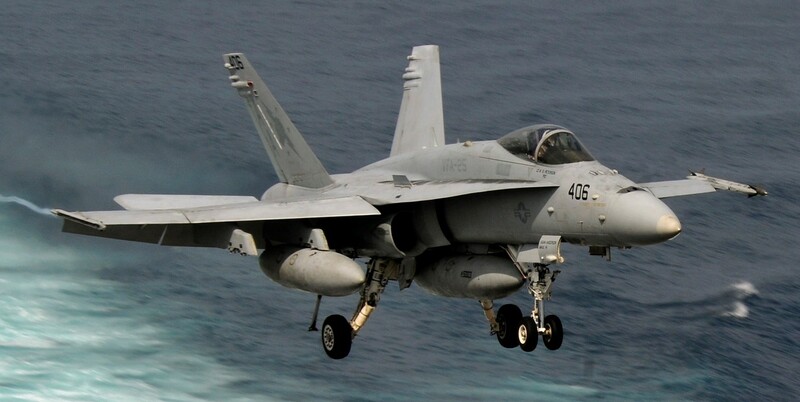 During a period of less than four years, VFA-25 spent nearly 24 months at sea. They took part in three full deployments and a surge deployment. The squadron logged over 5,500 combat hours on nearly 1,000 sorties in both Iraq and Afghanistan . They visited over 20 ports including Brisbane Australia , Singapore , Dubai U.A.E., Hong Kong, Kelang Malaysia , Phuket Thailand , Sasebo Japan , Pusan South Korea , Guam, and Hawaii . In December 2010, they left the safety of homeport once again for WESTPAC 2011. 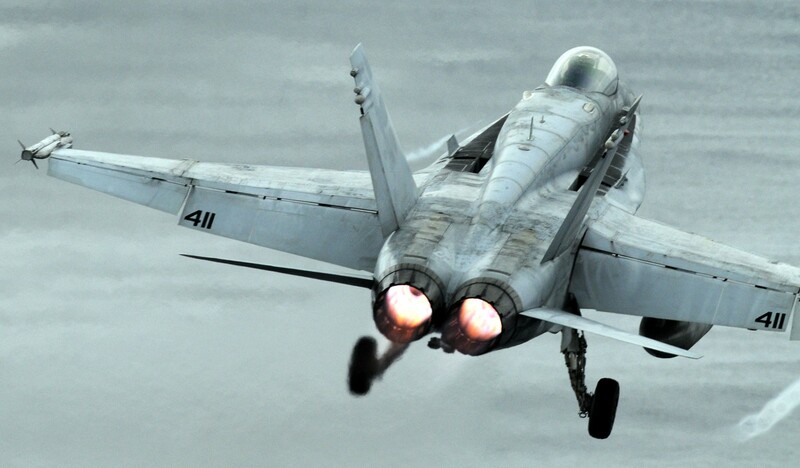 During WESTPAC 2011, VFA-25 spent over three months supporting coalition forces in Afghanistan and Iraq. Port calls included Busan, South Korea, Kuala Lumpur, Malaysia, and Dubai U.A.E. 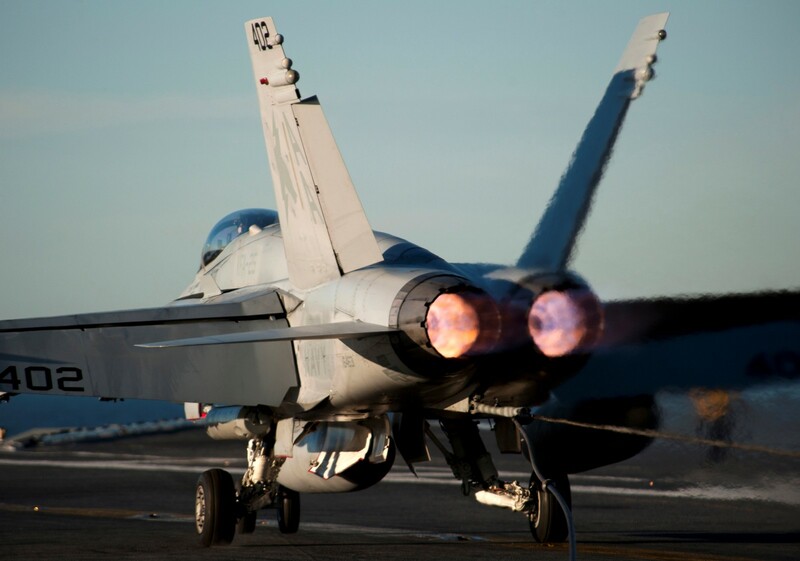 During combat operations, the squadron maintained a 100% combat sortie completion rate, flying 1470 sorties and over 3450 hours in some of the oldest F-18s in the fleet. VFA-25 won the Top Hook trophy for all three line periods of WESTPAC 2011. After returning home in June 2011, the squadron immediately entered the workup cycle to get ready to deploy again in November, less than 6 months after they got home. During WESTPAC 2012, VFA-25 again supported coalition troops on the ground during months of combat operations in Afghanistan. They also had the opportunity to spend a few weeks and conduct flight operations in the North Arabian Sea off the coast of Iran. Port calls included Hong Kong, Dubai, Chennai India, and Perth, Australia. 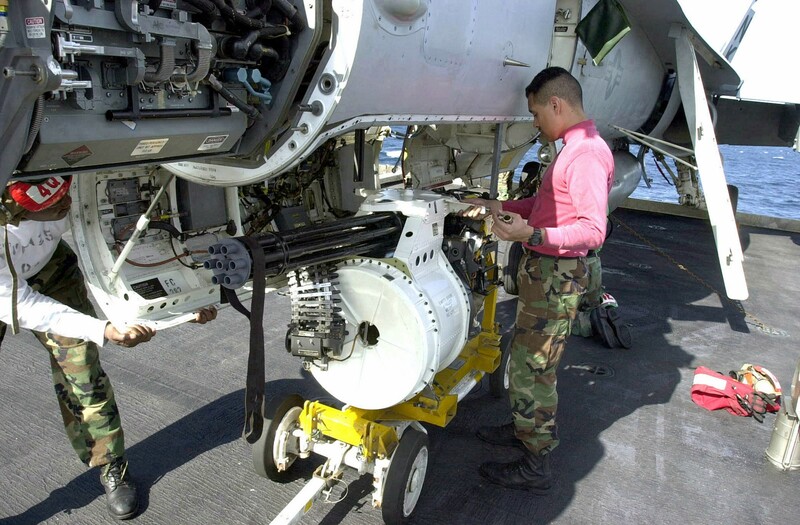 VFA-25 was awarded the LTJG Bruce Carrier award for excellence in Aviation Maintenance. Fist Maintenance also received the CVW 17 Golden Wrench award, as well as the Top Hook Award for two line periods. 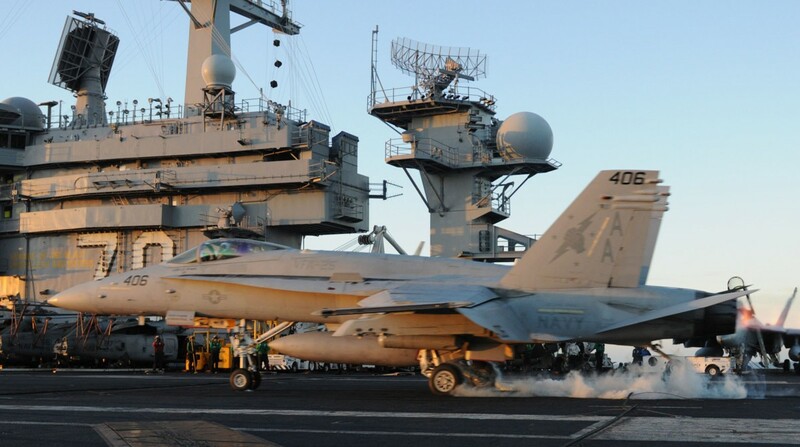 In the fall of 2012 VFA-25 completed it's transition to the F/A-18E Super Hornet, as part of its transition, TWO FIVE joined Carrier Air Wing NINE onboard USS JOHN C. STENNIS (CVN 74). In 2013, the FIST OF THE FLEET conducted 12 support and training detachments and also celebrated its 70th anniversary in 2013. 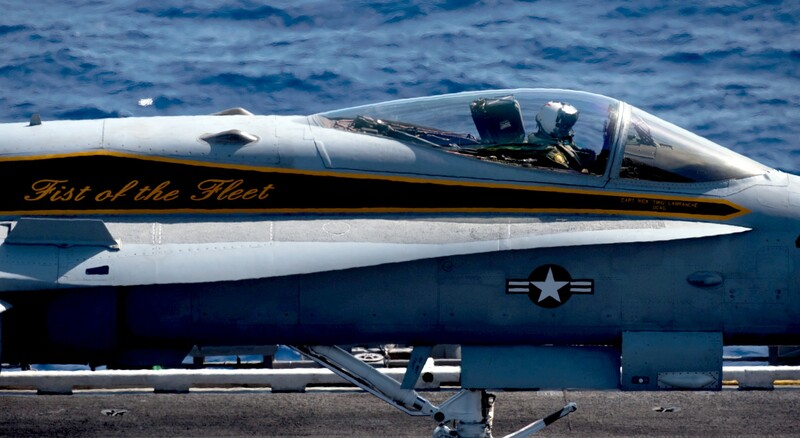 After completing ten training and support detachments the FIST OF THE FLEET joined Carrier Air Wing SEVEN onboard the USS HARRY S. TRUMAN (CVN-75) in January 2015. The clenched fist design of the "Fist of the Fleet" insignia dates back to 9 June 1949, approved by Chief of Naval Operations Admiral Louis E. Denfeld. 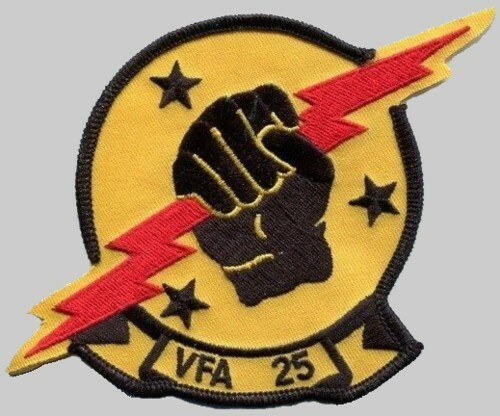 the scroll inscription from VA-25 to VFA-25, as the "Fist of the Fleet" transitioned from the A-7 Corsair to F/A-18A Hornet. Operations ENDURING FREEDOM and IRAQI FREEDOM.